I can provide an on-site service for businesses that allow their staff to access counselling without having to leave the workplace. The minimum service I offer is for a half day (four hours a week), within a two-hour drive from Finchley. This can be arranged for a limited time period, or as an ongoing service. Alternatively, you may be a local business and want to arrange to support a specific employee for a set number of sessions. Workplace visits can be arranged if required. 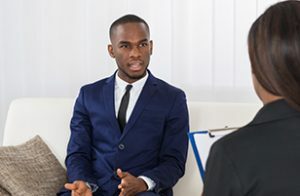 After a critical incident (any event that evokes a traumatic response), employees are generally very appreciative of being offered psychological support in the workplace. A critical incident can include: the sudden death, suicide or accident of a member of staff or to someone visiting your place of work; robbery or violent crimes; redundancy; terrorist attack or natural disasters. I am able to attend your workplace to provide emotional support to your staff in one-to-one and group sessions. In these situations, I provide Psychological First Aid, which is the most beneficial support within the first four weeks after a traumatic event. This is usually a one-off visit and can be offered as a full or half day, within a two-hour drive from Finchley. Please contact me to discuss your requirements for your organisation.